My husband John and I have been together since we were 19 years old. We both attended the University of Nebraska, where we met, and he was the city kid that always wanted to be country, and I was the country kid that always wanted to be city. This month we celebrated out 35th wedding anniversary. If you asked me what the secret to a successful marriage was the only thing that I could come up with is to show them and tell them that you love them. We are not selfish or materialistic people. When we married, we had nothing but each other, and yet, we had everything. Whether you are married or not, I wish you happiness. The kind of happiness that I have had for so many years. As you know, I just love tinkering in my kitchen. I make most of the meals on a weekly basis. However, when it comes to the grill, or in our case, The Big Green Egg, John is the boss and I am his sous. This is not a sponsored post. This is the grill that we prefer. I don’t mind and love rubbing elbows with him when he creates one of his masterpieces. 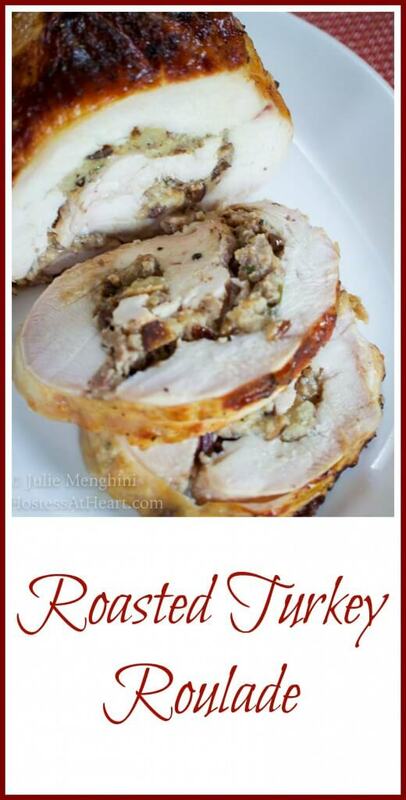 John saw this Ina Garten recipe for Turkey Roulade that he has really wanted to try. 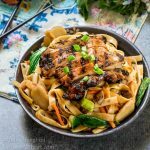 This was a weekend recipe where we knew we would have the time to try something a bit more time consuming and new to us. I am so glad we did! We followed Ina’s recipe to the tee. Now I am sure Ina’s butcher butterflied her turkey breast in a perfect rectangle. It was pretty comical to watch John hold the turkey together, with the stuffing trying it’s best to escape, while I tied it up. I used quite a bit of string to hold Ole Tom Turkey together, but you cut if off in the end any way, and no one saw how trussed up we had that guy. The things we would change next time would be to add more savory to the sweet. She calls for sweet and hot sausage. I would probably just use Italian sausage or a mix of Italian regular and hot next time. I wouldn’t use any sweet sausage. The figs and cranberry are sweet enough. Also, I would add more of the Italian spice profiles, such as additional oregano or sage. Regardless, it was delicious. The turkey was moist and tender. This recipe makes enough stuffing to have some on the side as well. 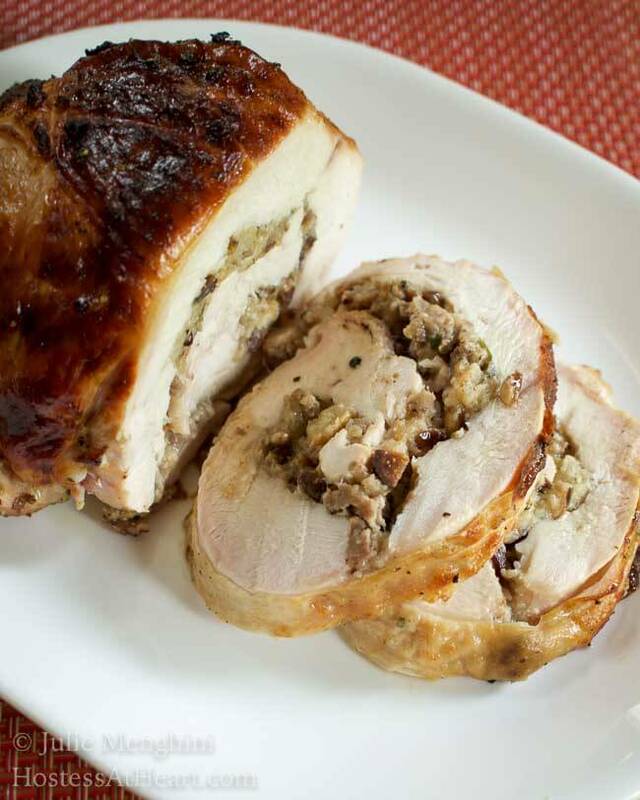 This Roasted Turkey Roulade recipe is a one dish meal that combines a sweet and savory combination, leaving one moist, delicious and impressive meal. 1 whole 2 halves turkey breast, boned and butterflied (5 pounds) - Have your butcher do this. Put the dried figs and cranberries in a small saucepan and pour in Brandy and 1/2 cup water. Bring the mixture to a boil over medium heat, then lower the heat and simmer for 2 minutes. Remove from the heat and set aside. Put the stuffing and chicken stock in a large bowl. Melt the butter in a large (12-inch) skillet over medium heat. Add the onions and celery and saute until softened, about 5 minutes. Add the sausage, crumbling it into small bits, and saute until cooked and browned. Add the figs and cranberries with the liquid, the chopped rosemary, and pine nuts, and cook for 2 more minutes. Add the sausage mixture, egg, 1 teaspoon salt, and 1/2 teaspoon pepper to the stuffing and stir well. Preheat the oven or grill to 325 degrees F.
Lay the butterflied turkey breast skin side down on a cutting board. Sprinkle the meat with 2 teaspoons salt and 1 teaspoon pepper. Spread the stuffing in a 1/2-inch-thick layer over the meat, leaving a half-inch border on all sides. Don't mound the stuffing or the turkey will be more difficult to roll. 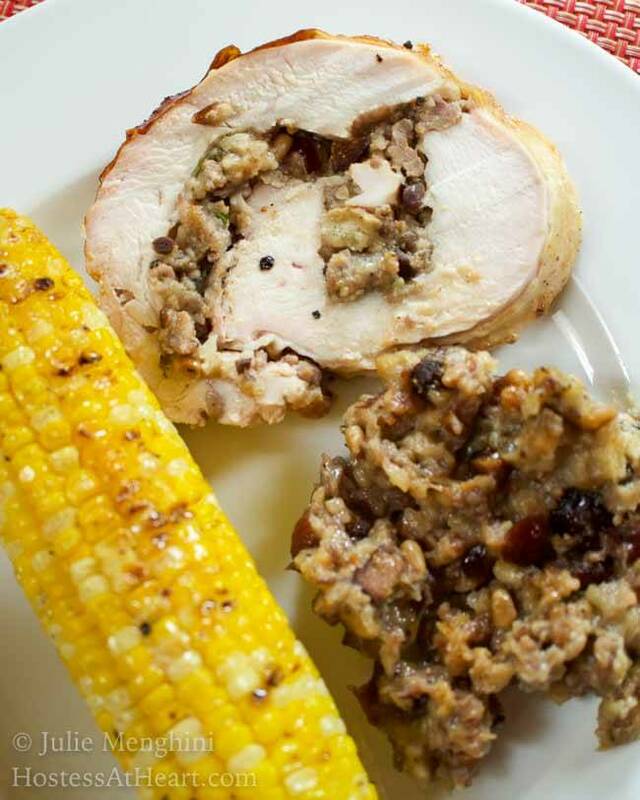 Leftover stuffing can be baked in a buttered dish for 40 to 45 minutes. Cover stuffing with a lid for the first 20 minutes and remove the lid for the remaining 20 minutes to slightly brown. Cut several long pieces of kitchen twine. Starting at 1 end, roll the turkey like a jelly roll and tuck in any stuffing that tries to escape on the sides. Don't use over-firm pressure or you will loose your stuffing. Tie the roast firmly with kitchen twine every 2 inches to make a compact cylinder. This is the easiest with an extra person to tie while one holds the roll together. Place the stuffed turkey breast seam side down on the rack on the sheet pan. For grilling, place in a cast iron dutch oven, on a rack, uncovered. 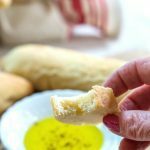 Brush with the melted butter, sprinkle generously with salt and pepper, and roast for 1 3/4 to 2 hours, until an instant-read thermometer registers 150 degrees F in the center. (I test in a few places.) Cover the turkey with aluminum foil and allow it to rest at room temperature for 15 minutes. Carve 1/2-inch-thick slices and serve warm with the extra stuffing. 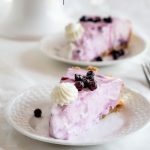 I hope you will give this recipe a try. It was delicious. The best part though was sharing it with my best friend and the man I love. Thanks for putting up with a mushy post! Congrats on 35 years! Maybe that long, my wife and I will be able to collaborate together on such a challenging dish! Honestly, it looks amazing and impressive! It really was a lot of fun. We enjoy doing things like this together. At times it may have even been funny. Thank you Dawn, me too! I’m hoping for at least another 35! Happy Anniversary, Julie and congratulations! This roulade is to die for–I’ll bet it would be an awesome alternative for a smaller Thanksgiving dinner. John did a great job! Thank you Tracey! It was delicious and fun to put together. 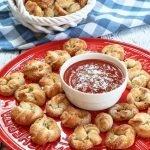 It would make a great smaller Thanksgiving or a nice dish if entertaining. Congratulations on 35 years of marriage! Thank you Sarah! We had a wonderful Anniversary, and as my mother-in-law says, “signed up for another year”. Thank you so much Arl! We really had a lot of fun making it. I really appreciate the nomination. It means so much to me to be thought of by our wonderful community of bloggers! I’ll head over there and take a look at this wonderful award! Thank you so much! We had a great time making it and it made enough to feed an army! Thank you Ana! We had a great weekend, and actually everyday with that boy is a gift. The turkey was delicious and rather comical at times which made it so fun to make and yummy to eat! Thank you Judi! His comment was the first family comment! The rest of my family are in the wings some where. I love family stories too. I think it’s because I love family history! I enjoy a good movie too, and John will actually watch them with me. I wasn’t sure if Gene was with you any more. When I first started blogging I didn’t even question that he wasn’t, and knew you had the kind of relationship with him as I have with John. When I started thinking that he was no longer here, I was afraid to ask. I’m sorry that he’s not. I always say that I want to go 30 seconds before John. I will tell John that he got a thumbs up. He is becoming quite the foodie! Love the idea of that sumptuous calvados-laden stuffing. Thank you! It was delicious Sally! It didn’t taste boozy at all but what a way to revive dried fruit! Thank you Freda! It was a yummy dish that we both enjoyed. I think we are both pretty comfortable now with the city life and it’s conveniences. We love visiting the little towns and villages in Europe though and aren’t huge fans of their larger cities. You and John are a wonderful example of marriage that’s worked Julie-congrats to you on your anniversary! Thank you so much Jess! I’ve heard that we aren’t the norm. We didn’t know we were doing anything abnormal. Life goes by fast enough without all the pain and suffering of a bad relationship. Sometimes I think we just got lucky. I appreciate your stopping by! What a fun project to do together, Julie! It looks like it just came out amazing. I love turkey and think this would be great to try sometime. Although neither my husband nor I are very good at grilling. But I would like to get better. Congratulations on your 35th anniversary! That is fantastic. Thank you Shari! We have a ball creating these masterpieces. Kind of like Laurel and Hardy I think. You can definitely cook this in the oven if it appeals to you. I wouldn’t be any good on Johns Big Green Egg, but I can fake it on a regular grill. Enjoy your evening and thank you for the wishes! Never tried or tasted dried figs stems, sounds interesting. .. I cut the stems off the dried figs and didn’t use them Chitra. My wording isn’t very clear I fear. I’ll take a look at it my friend! Warm congratulations coming your way Julie, what a blessed relationship you and John have. 35 years and counting eh? We will be celebrating 35 years too in December, so trailing right behind you. What a beautiful turkey roulade. I love turkey myself, it’s a much healthier option. Love all that stuffing, it all looks like a dinner fit for an anniversary celebration. I hope you had some bubbly to celebrate with 🙂 Gorgeous! Thank you so much Loretta! I am finding that we aren’t the norm eh? I wouldn’t know what to do without the ole boy. We knock around pretty darned good together. 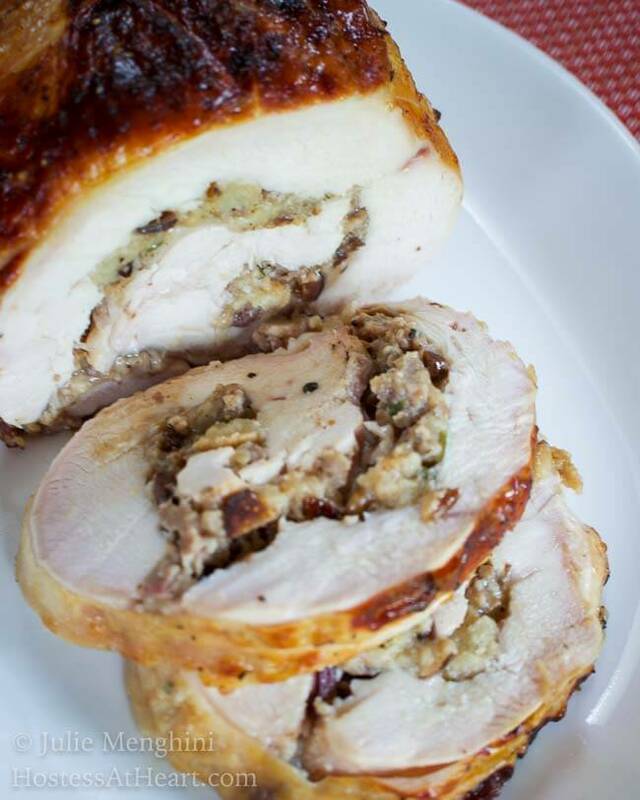 This turkey roulade was delicious and could also be made in the oven. It definitely made plenty of stuffing, and we had enough to eat for a week! Enjoy your evening and thank you for the warm wishes! Thank you so much Amanda! This turkey was so good. Sometimes turkey can be bland or dry. This one was neither. Make sure you have plenty of good eaters though. It lasted me and John almost a week. I got pretty turkey’d out. Should have put some in the freezer for a rainy day. Enjoy your evening and thank you so much for the warm wishes! That looks like a perfect company meal. Thank you Tracey! We had a wonderful celebration, and this meal was very special! That is so refreshing Elaine! My kids always used the ick words when describing my husband and I. They are both in great relationships though so I guess something rubbed off. I know this meat thing isn’t your thing but really appreciate your comment and stopping by! I am sure you are. It’s a happy place to be for a child when the rest of the world is pulling in the opposite direction. Happy Anniversary Julie! And many more, with delicious shared meals. Your man is a lucky guy! HAPPY ANNIVERSARY JULIE! 😀 What a perfect way to celebrate such a wonderful occasion! Thank you Dini! I’m with you on turkey. It can be so boring and dry. Not in this dish though. We had a wonderful anniversary and I am so blessed. Thank you Lili for a great comment! It is a great dish! wow. that filling would be good in pork or lamb, too. fabulous, and congrats! That’s a long time! This is such a nice warm post. Thank you for the good wishes and the nice tip. Thank you so much skd! I have so much to be grateful for including my blogging family, sister! Thank you dear Julie. I feel so blessed and endeared when someone calls me sis because I lost my only sister even before I was born Good luck to you and may you enjoy several years of togetherness and happiness. Oh skd I am so sorry. I have two sisters that I treasure my time with. I’m no substitute for your sister but am honored to be your blogging sis! Ha, my husband only likes to eat, not cook or grill. It is nice you have such a loving relationship, that is important to a happy, fulfilled life. I love Ina Garten’s show and learn a lot from her. I learn a lot from you too, always trying your recipes. I might keep in the sweet sausage though. Just my preference for a bit of sweet in a dish. Donna, you are so sweet! I am glad that you appreciate my content. I always find your site so peaceful and beautiful. I love gardening and birds and they are both an escape to get me off the computer! I also love to travel, and follow you on your trips. I have resisted posting on my travels, but they may make it onto my blog one day. Us kitchen types have a lot in common right? Salt and pepper of the earth people. Great post babe. Thanks for the ride, it has been a lot of fun! It sure has! Here’s to another 35! David and I aren’t big turkey fans, but this looks so good! Thanks Debbie! You could chase down a big ole chicken too!